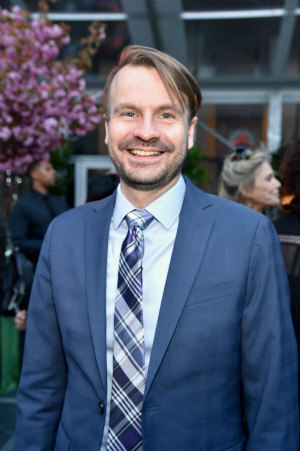 Art education programs in NYC will not be ignored, at least if Studio in a School executive director Chris Wisniewski has something to say about it. Legendary arts patron Agnes Gund saw a need for incorporating visual arts into the classroom at a time (1977) when city- and statewide budget cuts were threatening the existence of art education programs in public schools. In response, Gund created the nonprofit Studio in a School. Thanks to her vision and steadfast support, almost a million children across the five boroughs have benefited from artist-taught lessons in their classrooms. With the vision and purpose of Gund (now 80) in mind, executive director Chris Wisniewski has been running the show at Studio in a School since 2016. Overseeing approximately 375 programs in nearly 200 schools, Wisniewski regularly works with more than 33,000 students and 100 artist-instructors. While 30 new artist-instructors are trained each year, some veteran artists have taught within the organization for decades, remaining loyal to a program that is having a profound and lasting impact on students’ confidence, creativity, and even test scores. We sat down with Wisniewski to talk about Studio’s outreach, expanding to other cities, and his favorite spots in New York City. What Should We Do?! : What exactly is Studio in a School? Give us your elevator speech! 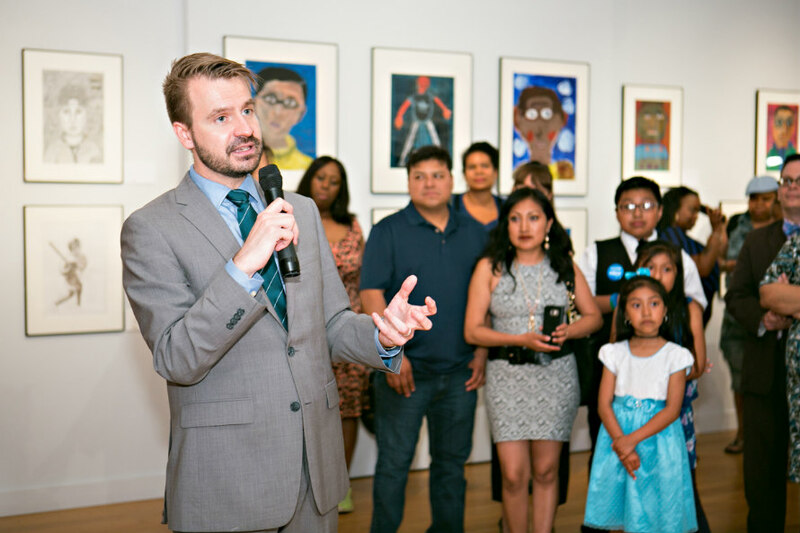 Chris Wisniewski: We are the largest visual arts education organization in New York City. We hire and train professional artists to teach artmaking and art literacy in public schools and early-childhood centers. Our programs are rigorous, high quality, and sequential; and most of the students we serve would not have visual arts instruction without Studio. Our work depends on deep, meaningful partnerships with schools, principals, teachers, and families. While some partnerships might only last a semester or a school year, many schools collaborate with us for years. We’re working with our partners to create a real art studio in a school, where Studio’s artist-instructors teach for up to four days a week for the entire school year for at least five years. We exhibit the students’ work throughout the building, transforming the whole school community through children’s art. WSWD: You were the deputy director of education and visitor experience at the Museum of the Moving Image for 11 years. How did that experience prepare you for this role? Wisniewski: In a certain sense, I learned almost everything I know about nonprofit arts management in my role at Moving Image. The most important preparation I received, though, had nothing to do with fundraising or human resources or strategic planning or even program implementation; it had more to do with purpose and commitment. The museum’s building is owned by the city of New York, and that was something we all took very seriously at Moving Image. That taught me about the responsibility that comes with working in the nonprofit sector. You’re operating in the public trust. This is no less true at Studio than at Moving Image. We may not be managing a city-owned building, but we are being trusted with our donors’ money, including taxpayer money, and with educating our city’s public school students. The founding director of the museum, Rochelle Slovin, did a tremendous job of imparting a sense of public service and responsibility to me when I was working with her, and I have tried to carry that forward in my career. I also became an educator “on the job” while working at the museum. Museums, in general, are terrific spaces to reflect on teaching and learning because they’re immersive, experiential, and multimodal. I would interact with people of all ages, all of whom had their own learning styles and their own distinct backgrounds and interests. It was a great way to learn how to be a teacher. WSWD: What’s a typical day like for you? Wisniewski: There isn’t one! I am often at schools, though not every single day, and I love that my job might take me to a sixth-grade classroom in Jamaica on one day, then an early-childhood center in Staten Island the next. That said, I would say that I spend most days in meetings. On an average workday, I might spend business hours meeting with principals, teachers, artists, board members, Studio’s staff, administrators at the Department of Education, or cultural or community partners. Then I tend to do a lot of my “work”—reading, writing, responding to email, etc.—at night or on the weekend. WSWD: What do you find most rewarding about leading this program? Most challenging? Wisniewski: As is often the case, the rewards and the challenges are the same: We are doing authentic, meaningful work in under-resourced schools that have significant needs. Unfortunately, many of the children in our programs face overwhelming barriers to their success. But they have one thing in common: Each and every one of them has a right to a high-quality education that includes art. This isn’t easy work; it is, however, necessary and essential. The work is its own reward, and it is usually most rewarding when it is most challenging. WSWD: Tell me about some kids and teachers who have especially inspired you. WSWD: How does the Studio curriculum engage kids who aren’t aspiring artists? Why is visual arts education so important to a child’s development? Wisniewski: I love the story about Emily because it’s a great example of how our programs support learning well beyond the narrow frame of artmaking. Arts education supports language acquisition; fine and gross motor skills; and “habits of mind” like persistence, creative problem solving, and observation. Obviously, children who do have a particular talent or interest in the arts need an opportunity to explore that if they want to build their skills. However, all young people have the capacity to develop their artistic skills and a certain level of visual literacy. I am not a gifted artist myself, but I did have a good art teacher in high school who taught me how to draw from observation. That fundamentally changed the way I thought about art, close looking, and the way I perceive my own abilities. There is ample evidence that art education, particularly in the early grades, lays a strong foundation for lifelong learning. WSWD: How do you unwind? Wisniewski: I have always been and will always be a movie person. Cinema was my way into the visual arts, and there are few things that I enjoy more than watching a great film. With my schedule, I don’t read as many novels as I would like, but that makes it all the more special when I have a few hours to curl up with a good book. My husband and I adopted a dog a few years ago, and she’s a source of never-ending delight. Finally, I love to cook. I find my work to be intellectually taxing, which is generally a good thing. But cooking really puts me into a different mode altogether. WSWD: What is your favorite neighborhood or borough? Wisniewski: I’ve lived in Brooklyn since I moved to New York in 2002. It’s home. That said, I came to love Queens during the decade I spent working at Moving Image. Its diversity is emblematic, to me, of what makes New York such a singular and incredibly dynamic place to live. WSWD: Where do you go to find inspiration? Wisniewski: Yesterday, I spent an hour wandering the European Painting galleries of the Metropolitan Museum of Art. I hadn’t done that in a while, and it brought me a great sense of serenity. I find the city’s cultural resources—its museums, galleries, parks, and gardens—to be a wonderful source of inspiration. That may seem obvious, but it can be all too easy to take these places for granted.